The free pattern for this easy crochet infinity scarf is below. This crochet scarf is perfect for beginners who know how to chain and double crochet. 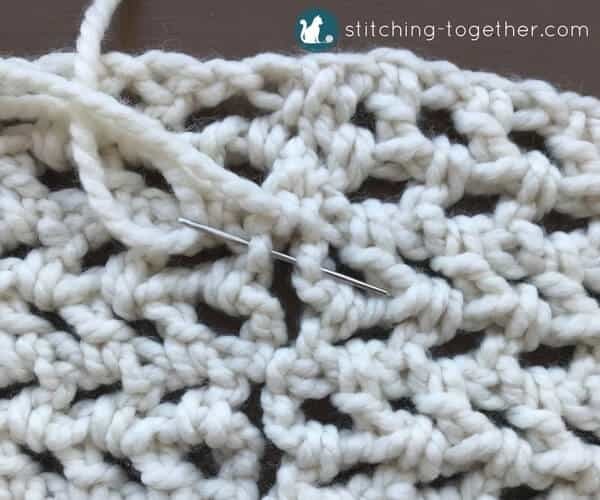 Are you ready to move beyond your basic rows of double crochets to something a little fancier? Or perhaps you are looking for a quick scarf that takes less than an hour to complete? 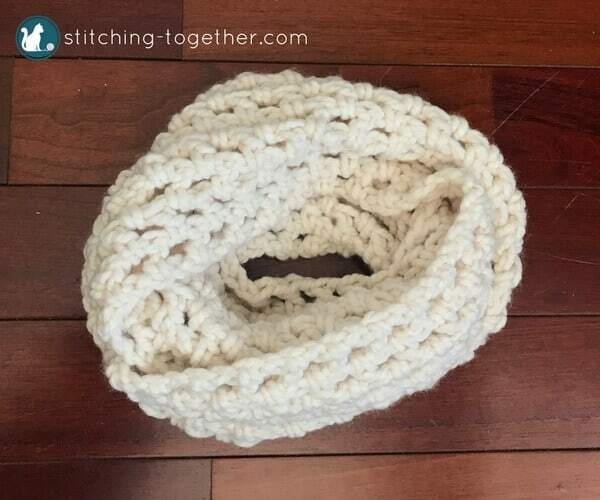 This easy Crochet Infinity Scarf has you covered! This scarf is luxuriously soft and squishy. I love that is it warm and cozy without being too bulky. This is a perfect pattern for beginners. You only need to know double crochets and chain stitches. Historically I haven’t been a huge fan of working with bulky yarn, but it wasn’t until I tried this Clover Amour 12 mm hook that I realized my issue hasn’t been with the yarn, but with the hooks! Most jumbo hooks are fat, bulky and hard to hold. The largest hook from this Crochet Dude set was my favorite large hook, before it was smashed by a rocking chair. (RIP shattered plastic hook.) Even though it was fat, it was long enough to hold comfortably. I’ve slowing been adding all the larger Clover Amour hooks to my collection, which now means… ALL THE BULKY YARN! Seriously the contoured and tapered handles on these hooks make all the difference. 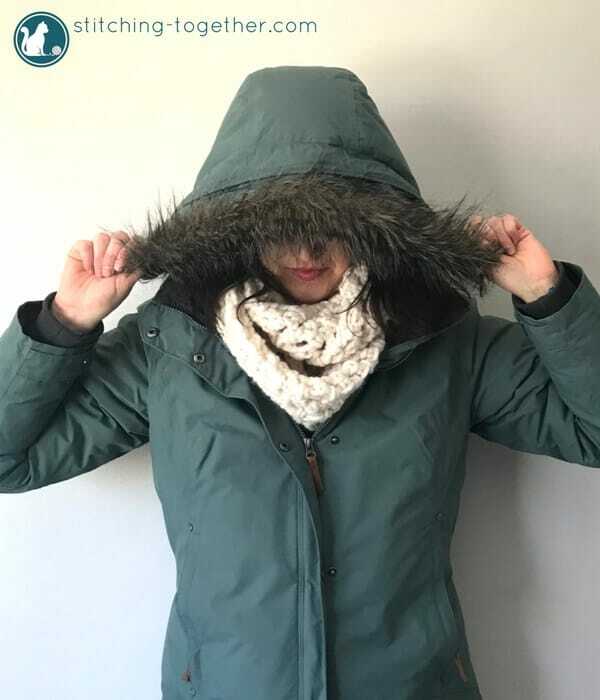 The scarf only took one skein of Wool-Ease Thick and Quick Bonus Bundle, which is another reason it is perfect for beginners – there is no joining new yarn!!!! Get ready to make yours today. Continue repeating row 2 for a total of 9 rows. Join short ends to form a circle and sew together. Bind off and weave in ends. 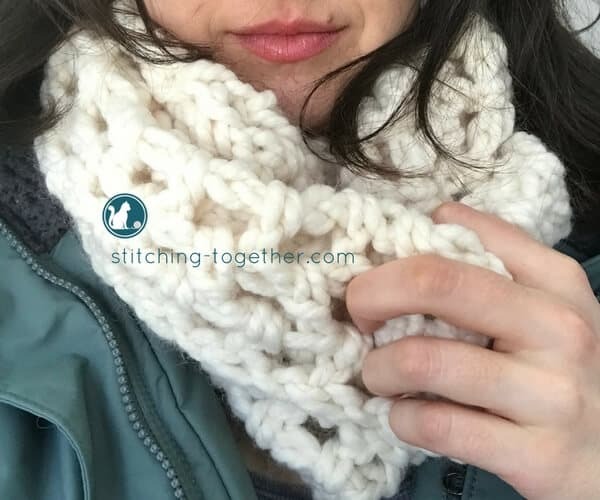 When you make this scarf, don’t forget to tag me on social and use #stitchingtog! I LOVE seeing your finished projects! 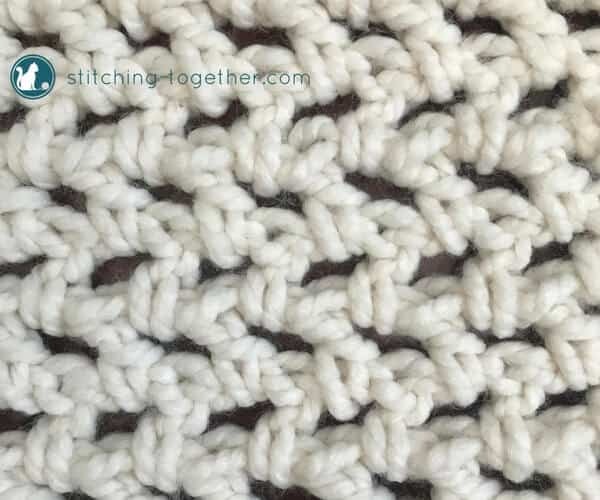 Click on the picture below to pin this pattern for later! I adore this pattern. It’s simply beautiful. Thank you so much!! !